Students often make excellent grades in school academic courses, but have difficulty applying their academic skills when they begin work. Whether yours is a STEM program, an academic course, or a traditional career and technical education program, your students must be able to transfer the academics that earned them a grade to the academics demanded on the job. 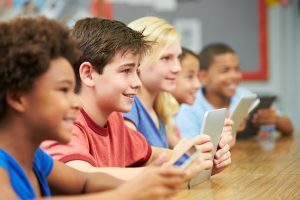 A Lesson A Day can reduce class downtime by filling a few minutes with effective learning materials. By setting aside only 10 or 15 minutes, you can have students apply academic activities to real jobs. The career academic lessons in A Lesson A Day can be used when students finish assignments quickly, when you need to fill a few minutes, or when compiling materials for substitute teachers. A Lesson A Day is popular as a bell ringer, also. A Lesson a Day is flexible and especially valuable for students with short attention spans. Lessons can be evaluated for a grade or as a project, and activities can be combined for longer time frames. All lessons are printable and reproducible. 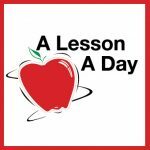 Your students at the upper elementary and middle school levels will profit from A Lesson A Day, which can be used as an individualized learning effort on teacher-directed lesson. A Lesson a Day comes in PDF on two CDs and can be stored on individual computers or a server. You may prefer individualized instruction or viewing through a projector or on a whiteboard. CD No. 1 contains math, science, and technology activities. CD 2 contains English, Communication, Ethics, and Social Studies activities. Click here to view A Lesson A Day additional description and lesson titles. You can view a sample math lesson from A Lesson a Day here.